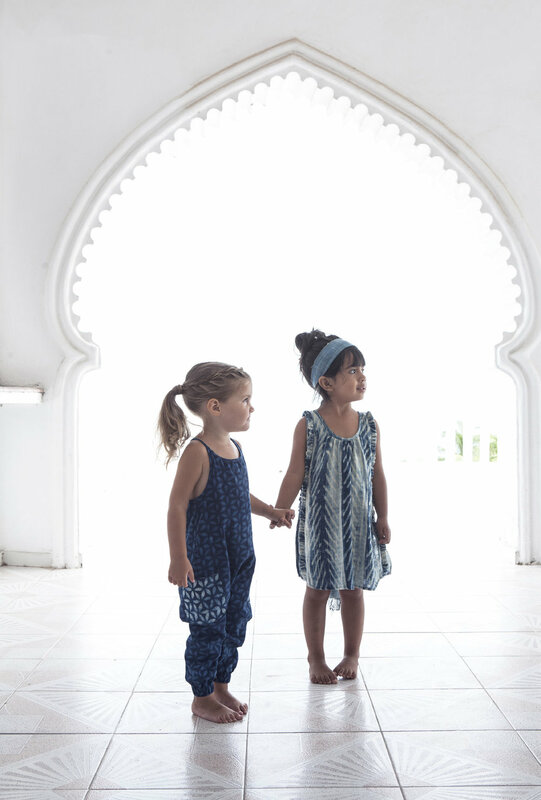 Our first Collection is a celebration of global indigo traditions and handcrafts. We partnered with artisan printers, dyers, and embroiderers to dive into techniques like block printing, mud resist dyeing, shibori and hand embroidery. 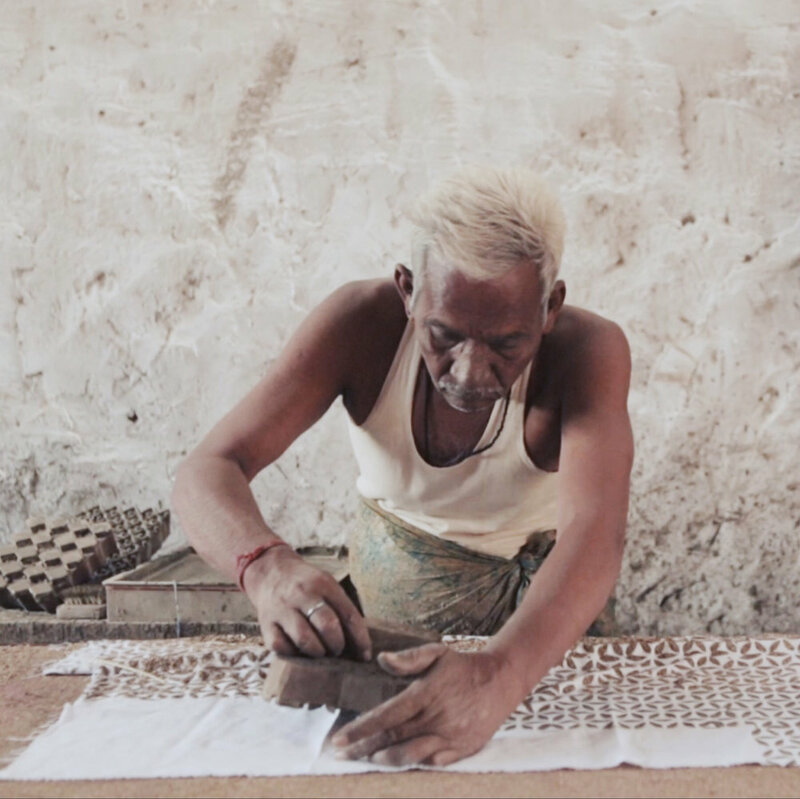 Our first stop was India, where we spent a month researching and building our line, from the fields of Bagru where we developed our prints and patterns in collaboration with our artisan partners, to our factory outside of Delhi to perfect our fits and samples. Our second stop took us to San Pancho, Mexico, where our children attended a local day camp and made friends with the locals while immersing themselves in local traditions. Their new friends joined us and became the models for our campaign.